Whether wrapped in buttery puff-pastry or prepared in a traditional ceramic brie baker, melty baked Brie makes for easy and impressive entertaining. We often eat these gooey creations with sweeter toppings, like fig spread or cherries. But baked Brie is incredibly versatile, and savory creations shouldn’t be forgotten, especially as a holiday season appetizer. 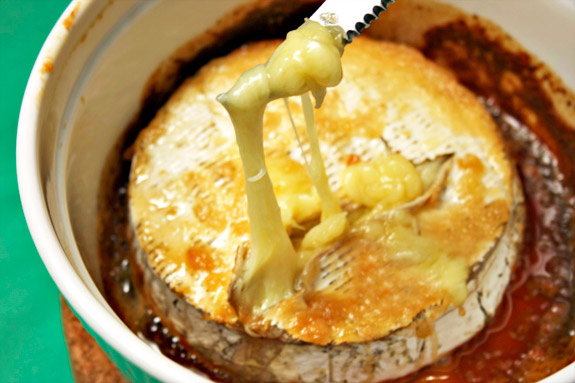 We love this BuzzFeed list of 23 inspiring recipes for baked Brie—they highlight a wide variety of flavors and toppings. Here are two that we really love, and you can check out the whole list here. Roasted garlic and honey pairs savory and sweet beautifully! 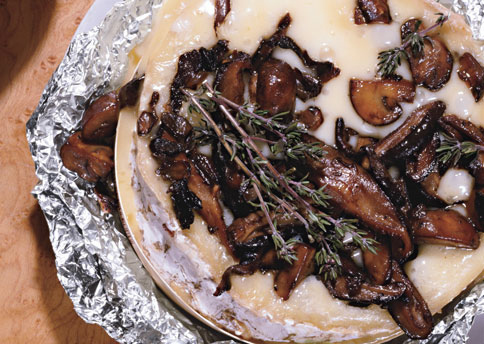 Mushrooms and thyme bring out Brie’s naturally earthy flavors.